The Kansas City Chiefs said that the team has found no evidence that a fan repeatedly called Washington Redskins player Terrelle Pryor a racial slur during Monday night’s game. Pryor verbally attacked fans after the game, but he stressed that it was because a fan made a racist remark. But the Chiefs said that they have found no evidence that had occurred while stressing that they don’t deny Pryor’s account. 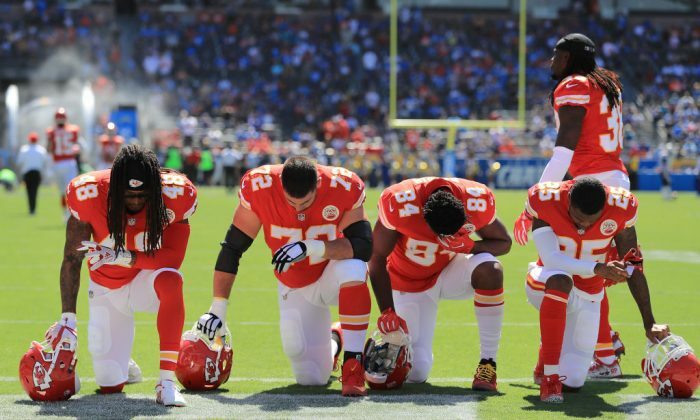 “Washington didn’t make our people aware of an incident, the people we have on the sideline didn’t see one before or after the game and as far as we know, no one from the league office was called to his aid during or after the game,” said Ted Crews, the Chiefs vice president of communications, the Kansas City Star reported. “There was no incident or report from the stands,” he said. The man wasn’t directing his ire at Pyror, but he was the one who reacted. An NFL spokesman said that the league will effectively ban fans who use racist or abuse language at games. Later, in an Instagram post, Pryor elaborated. Chiefs linebacker Derrick Johnson told the Star that he’s never heard any racist language at Arrowhead Stadium.